The important thing to keep in mind is American roots music tells the story of ordinary men and women, who were and often still are defined and limited by cultural constructions of race, class and gender. Just as music reflects how Americans have struggled against oppressive social and economic conditions, music is also a way of celebrating and giving dignity to identity. Classmate Lotte played her century-old banjo at the concert. Inherited from her mother’s friend, Lotte has been playing ukulele and banjo since she was five years old. “We had the banjo spiffed up and replaced the strings, but otherwise it is fine,” said the fifth grader. “I like playing my antique banjo on special occasions,” she continued. 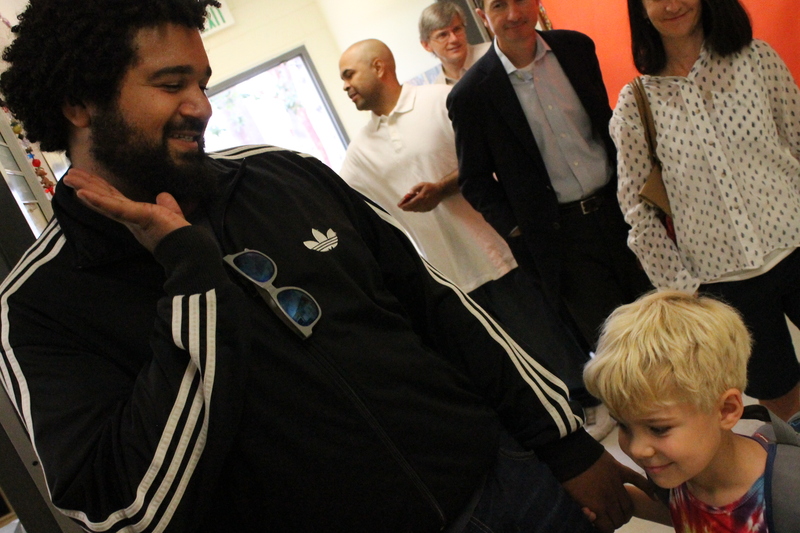 Some journalists are erroneously using data that was pulled from the State of California Department of Health Services to report a skewed view of “herd immunity” at Walden School. The cited data is a snapshot of one report from the first month of school in 2013. With thousands of schools in California, it is an inefficient reporting system and many journalists are not reporting the full picture of what constitutes “herd immunity” at our school. The form filed in 2013, unfortunately, did not distinguish between delayed vaccinations (temporary PBE) and no vaccinations (permanent PBE). By publishing that in September 2013, 42% of Kindergarteners (or twelve out of 28 students) at Walden School were not vaccinated, journalists mislead readers because within a few weeks that number radically dropped to 3% as children’s 5-year wellness visits were completed and vaccinations were updated. Only one student out of 28 kindergarteners last year filed a permanent Personal Beliefs Exemption (PBE). Vaccinations delayed by a few weeks after the start of the school year (because a child has not yet turned 5 years old) is not the same as delayed vaccinations for personal/religious beliefs (temporary PBE). Different again is the permanent Personal Beliefs Exemption (PBE) which means that parents have opted out of all vaccinations for their child. 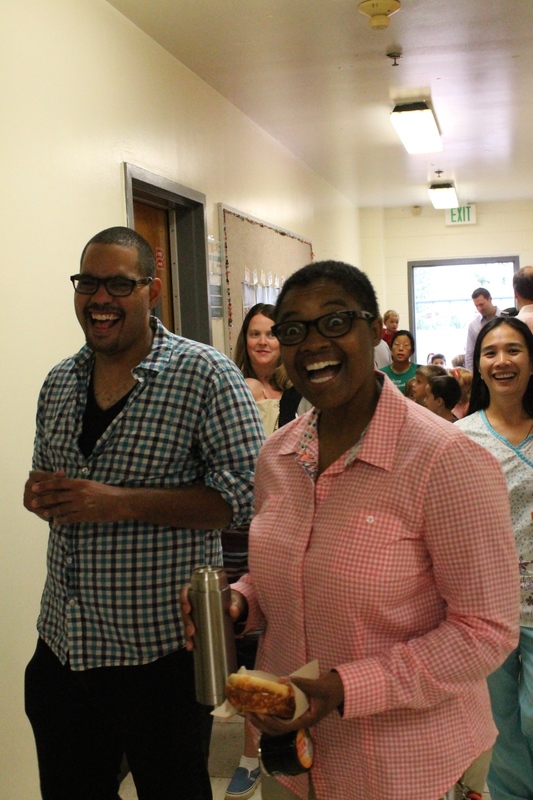 Because Walden School does not have a birthday cut-off date, some of our students complete their 5-year wellness checks after the first day of school. Since children are born on different days of the year, there is no magic one day when herd immunity can be codified for all schools. Probably for ease of collection, the State asks schools to report stats each fall on the incoming Kindergarten class for that year on the first day of school. But even that is not accurate, as different schools have different start dates. Herd immunity is established over time and the data used in this recent news cycle does not accurately portray actual community immunity at Walden School (and probably is misleading for other schools, too, due to the inefficiency of the State reporting system). In recent school years, across our entire student body, between 94 -96% of students have met all vaccination requirements and/or documented history of disease. The CDC and the World Health Organization have estimated herd immunity thresholds for vaccine-preventable diseases in ranges from 75-94% depending on the specific contagious disease. In January 2014, a new form was developed by the State and this fall’s report filed by all schools addresses some of the data collection issues. The form Walden School filed this September distinguishes the number of kindergarteners with all required immunizations and/or documented history of disease from the number of kindergarteners exempted from any immunizations due to Permanent Medical Exemptions (PME), or Personal Beliefs Exemptions (PBE). These students are counted as Unconditional Entrants. Students with a PBE are further quantified between “Pre-January 2014” exemptions, “Health Care Practitioner Counseled” exemptions, and “Religious Exemptions.” Two students filed a PBE this year (out of 29 students in Kindergarten). Conditional entrants are also documented on this year’s form. 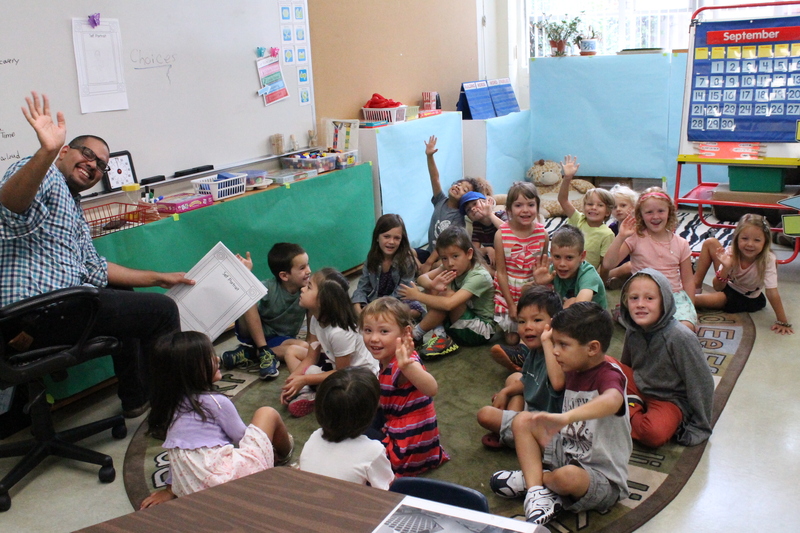 These are students who have a temporary medical exemption because they have not yet met all of the required immunizations but are on a delayed vaccination schedule and these kindergarteners require follow up documentation. 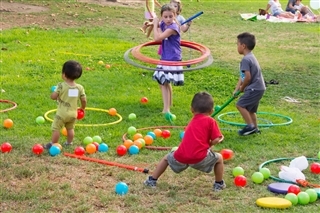 The State of California Department of Health Services advises that in case of an outbreak of any one of the diseases for which a child is not vaccinated, that child may be temporarily excluded from attending school for his/her protection. Like any other health concerns you have about your child, consult your health care professional about what is best for your child with regards to vaccinations. 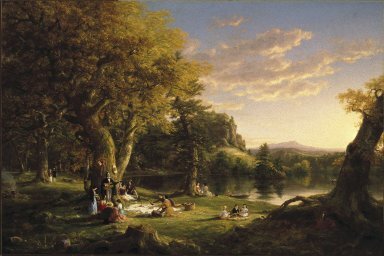 19th century American landscape painter Thomas Cole was commissioned by a wealthy New York banker to create this painting titled “A Pic-Nic Party” in 1845, according to the Brooklyn Museum. 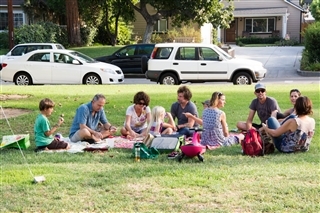 Historical accounts of picnics are found in literature and art with references to sharing a meal outdoors in an attitude of respite and leisure. 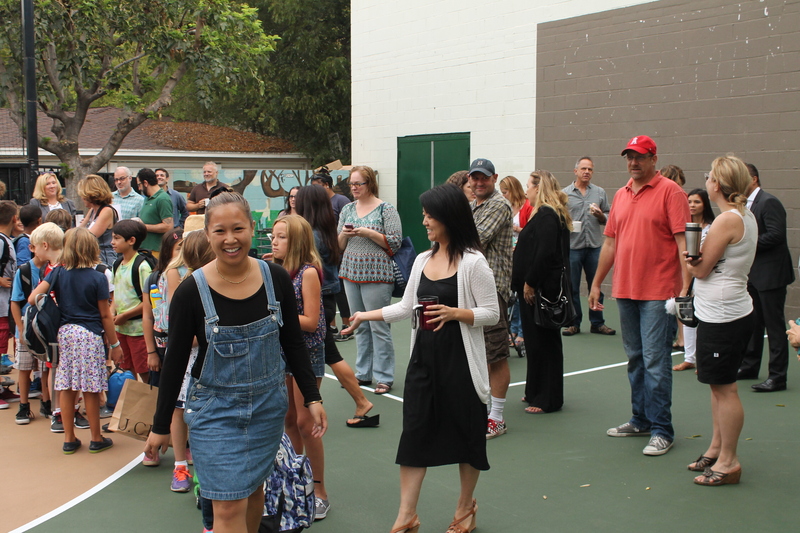 Over two hundred people gathered on Sunday, September 7, 2014 to celebrate the start of a new school year together at Walden. 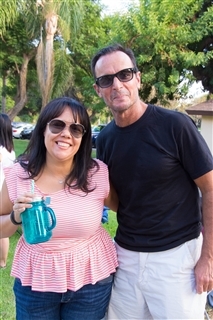 Parents, children, alumni, faculty, and staff all brought their picnic blankets and suppers to eat together on a warm late summer afternoon at Eaton Blanche Park. 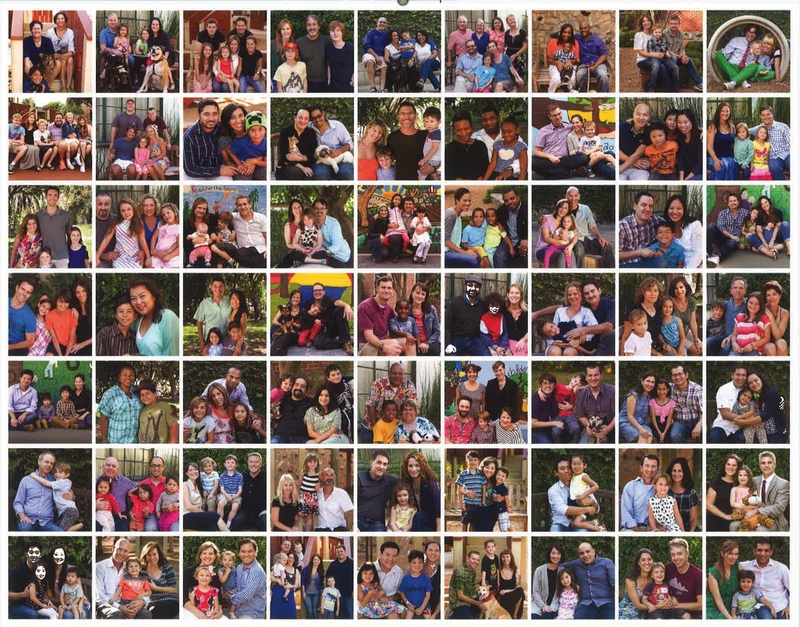 Walden School’s diverse families and faculty reflects our commitment to honoring the uniqueness of every person and building an intentional community. 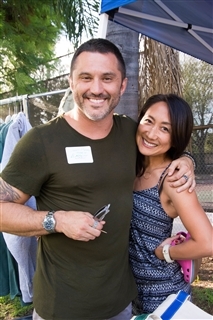 Through events like the Fall Picnic, we are fostering a shared commitment to developing, sustaining, and supporting an inclusive community. 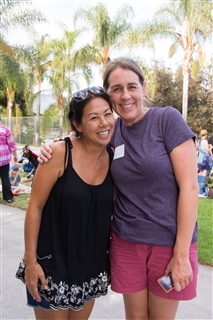 Current Walden School families may log on to The Pond to see more photos here. Wikipedia contributors. “Al fresco dining.” Wikipedia, The Free Encyclopedia. Wikipedia, The Free Encyclopedia, 27 Jul. 2014. Web. 11 Sep. 2014. 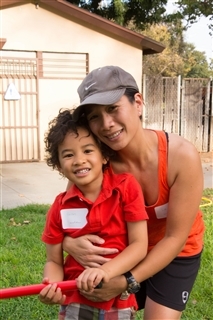 Walden School Parent Lee Zamastil (parent of Caden ’16) wrote this blog post after attending Graduation on June 12, 2014. There was a television show that ran its final 2 1/2-hour episode when I was 11 years old. 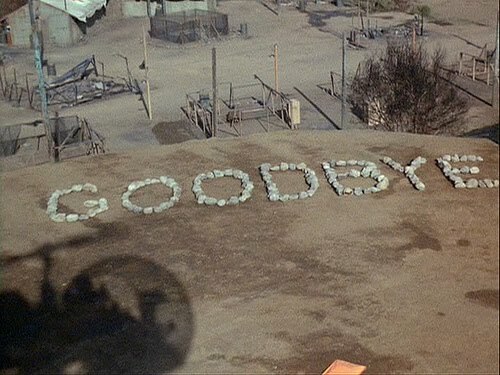 This was M*A*S*H. I only occasionally watched the program as a kid but the buildup to its final broadcast was enormous and I could not resist. If you have ever seen this finale—and, perhaps, especially if you saw it in the 1980s with the rest of us—you know what a powerful night of television it was. When the show was finished I told my family that I was sad that the characters were gone. The program’s ending was a parting between two men who shared a deep friendship. It was an emotional end. My older sister reminded me that I’d hardly ever watched the show. How could I miss it? I was happy I’d seen it. I also couldn’t help but feel I had missed out—missed out on knowing some wonderful people who were now moving on. I didn’t expect this. I expected to see twenty of Walden’s kids each give a speech and collect their Walden diploma. 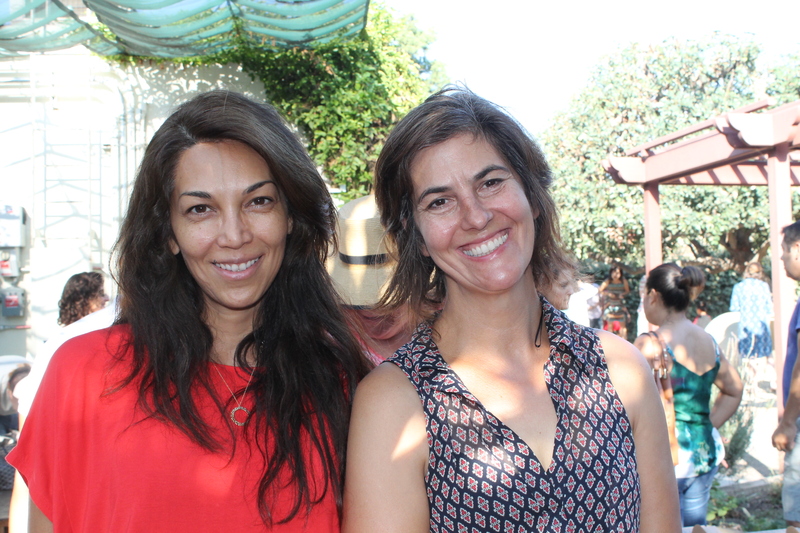 What I saw was a presentation of friendship, love, gratitude, intelligence and caring. 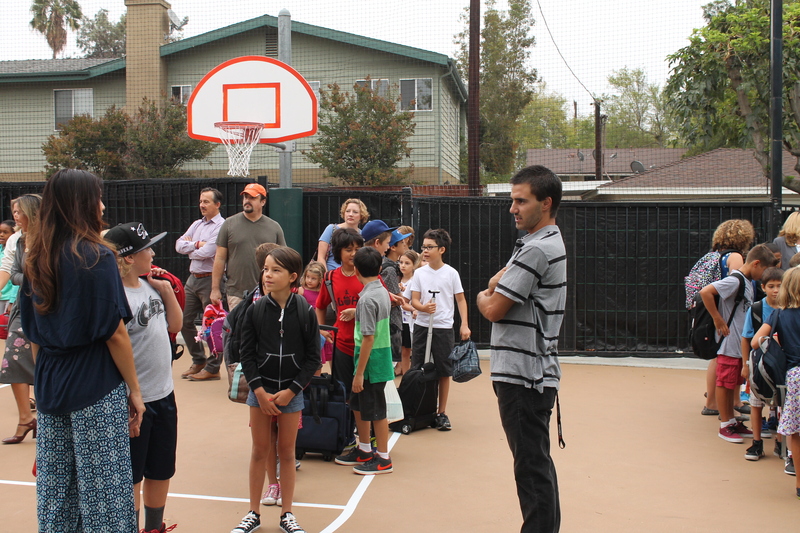 Community is an often referenced concept at Walden. At times one wonders if it’s truly as pervasive as advertised. Other times you do truly feel the bond. Today I was reminded, by the children of Walden, that the essentials that build our community are always there. They are right there in front of you. You just have to watch for it. Best wishes to the Walden Class of 2014!